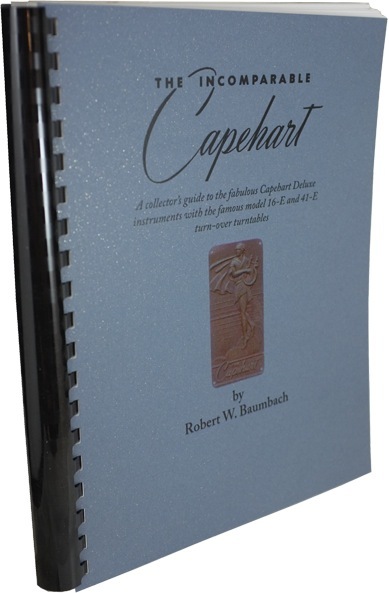 The Incomparable Capehart is a distillation of original literature and articles collected by the author over the past 25 years. 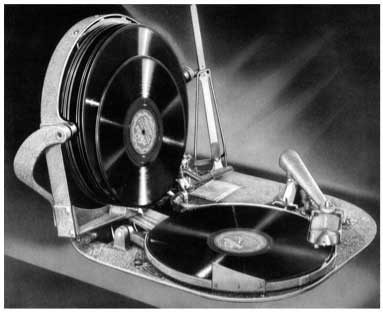 wonderful record changer designed by Ralph Erbe, and this changer was unequalled for features in its time. In addition to being able to play 10" and 12" records intermixed, this ingenious changer would also turn each record over. It could turn each record over immediately, so that the B side could be played following the A side, or it could turn the record over as it returned it to the stack, thereby placing it in position to play the opposite side the next time the record came through the stack. 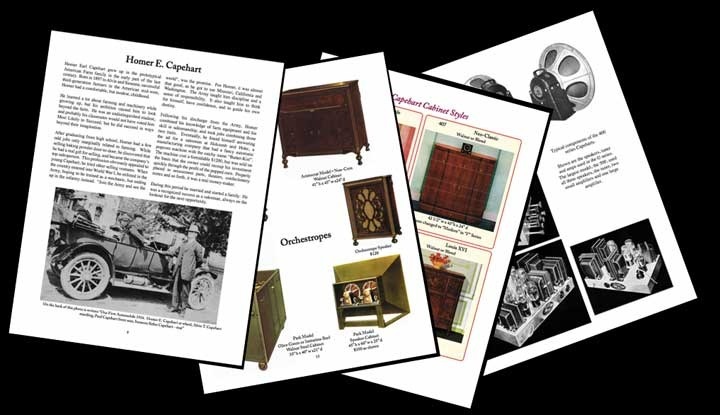 The book illustrates all cabinet styles of the Capehart, and provides specifications and configurations of all Capehart Deluxe models. In addition, there is a condensed biography of Homer E. Capehart, and discussion of models built prior to the introduction of the Capehart Deluxe in 1931. Topics include Capehart identification, early Capehart models, Capehart promotion, Capehart Deluxe details (cabinets, styles, record changers, components, custom installations, hardware, radio dials) and maintenance. 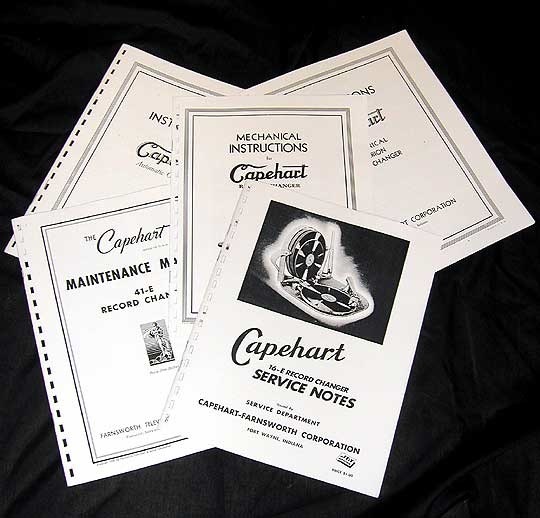 These service manuals are individually bound just as the originals were, and may be individually removed from the binding for ease of use while servicing your record changer, if desired. The book is printed on quality stock, measures 8.5" by 11" and features many color illustrations. The book is spiral bound. The book has 45 pages of new information (see sample pages below) and approximately 100 pages of original service data (see picture above). This book will be printed in very limited quantities. Each one is numbered and signed by the author.